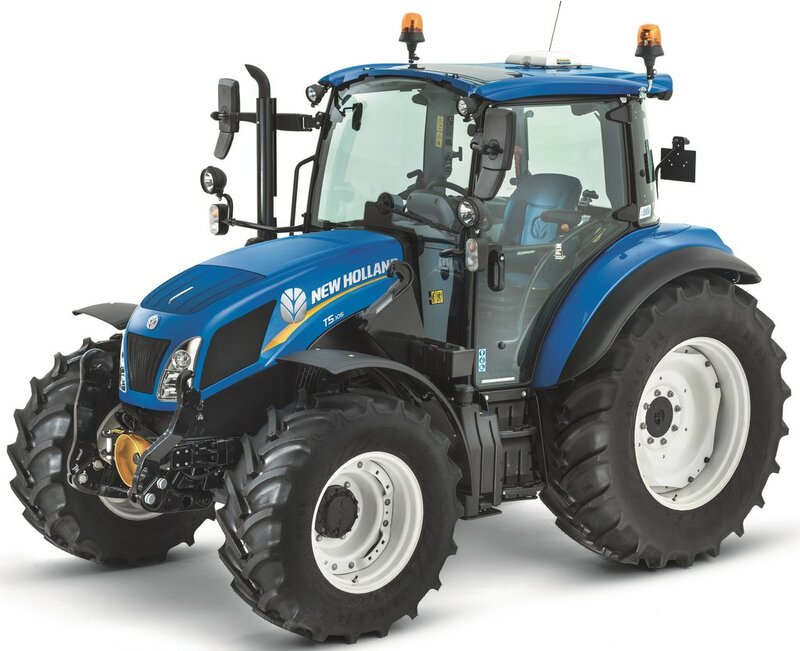 In addition to its three-model, high-spec T5 Electro Command tractor series it launched last year, New Holland has updated the lower-spec end of its T5 Series with the introduction of five refreshed models. Building on the heritage of the old T5000, and to some extent the TL Series, the new T5 Utility series from New Holland comprises five models (see panel) ranging from 75 to 114hp. While the higher-spec T5 Electro Command models can be identified by their new family styling, the T5 Utilities stick with the previous generation’s look. Power comes from a four-cylinder, 3.4-litre, FPT engine, capable of producing maximum power between 1,900 and 2,300rpm, says the manufacturer. In addition, an engine speed management system with a two-speed memory is included. Depending on model, the series is available with a choice of transmissions including a 12 by 12 with synchromesh shuttle, a 12 by 12 with power shuttle and a 24 by 24 Dual Command with high/low splitter. All transmission options can be specified with a creeper option. Furthermore, all T5 Utility models can be specified with two or four wheel drive, as well as the manufacturer’s SuperSteer system offering a steering angle 76 degrees. As standard, the tractors come with a dedicated 48l/min hydraulic pump and 28l/min pump for services. For extra flow, a MegaFlow option can be specified using a 64l/min pump for the hydraulics and a 36l/min pump for services. T5 Utilities also come factory-ready to receive the firm’s 500TL and 700TL front loaders, offering lifting heights up to 3.7m and lift capacities up to 2,060kg. An optional factory-fitted front linkage can also be specified with a lift capacity of 1,670kg – a 1,000rpm front pto is also an option. Offering an increased carrying capacity, overall gross vehicle weight has been boosted to 6,500kg. Rear linkage lift capacity is also increased to 4,400kg thanks to a second assister ram. The new T5s will be making their public debut at the Grassland and Muck Event and are fully available now.